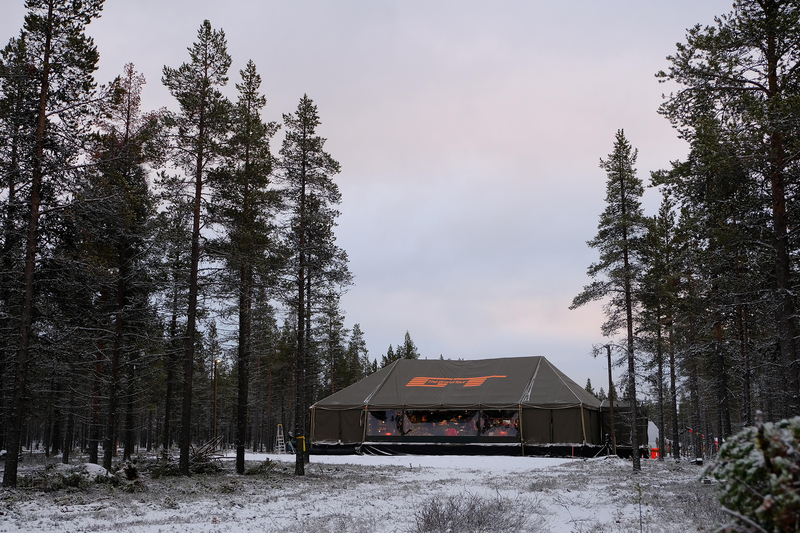 We were approached by Chump Productions to produce a studio tent for their upcoming Amazon Prime Video series The Grand Tour. 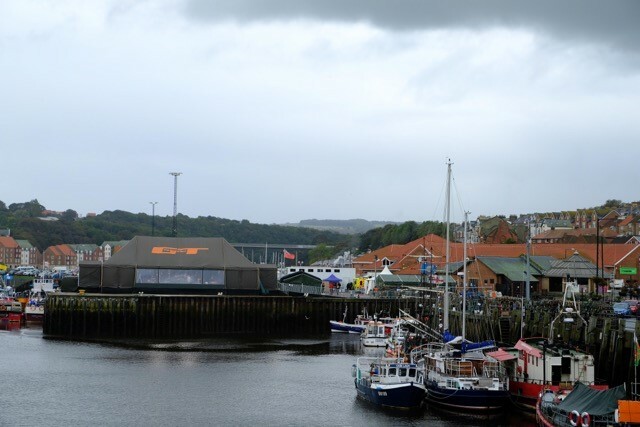 The main goal was to produce a portable studio structure capable of supporting cars and an internal lighting rig, whilst also being able to be transported around the world during the filming of the series. 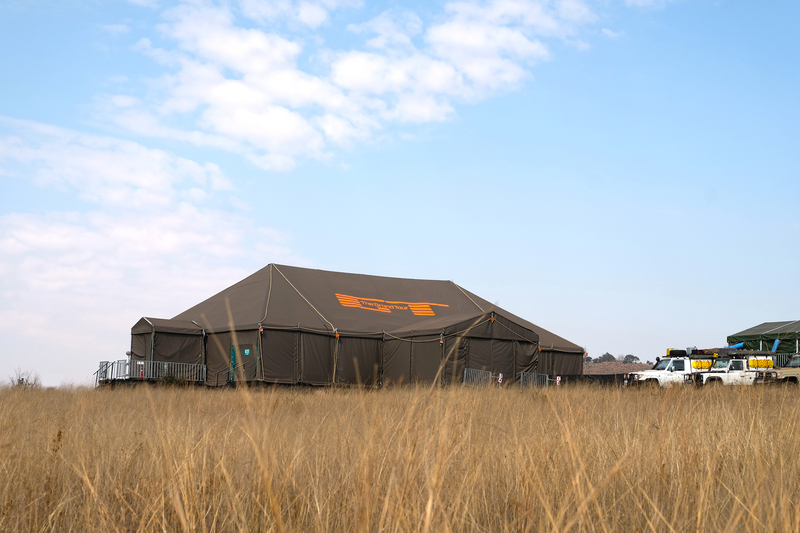 The project involved the design and manufacture of a studio tent for The Grand Tour. The client requested that the structure be able to travel around the world, and support filming and production equipment, as well as a variety of cars. A good visual profile was necessary to allow aerial camera shots. The project had a few unique requirements, firstly it needed to be transported and installed around the world. The studio tent featured a clear window designed to provide a view of the different landscapes as a backdrop. To support the cars and production equipment within the tent, the floor was reinforced with additional metal bracing bars in the steel sub-frame flooring. With a ramp extension added into the entrance of the tent to enable easy access for the featured vehicles. The exterior was specifically designed to emphasise the design brief using military green canvas for effect. A special reveal blind was also built into the structure. 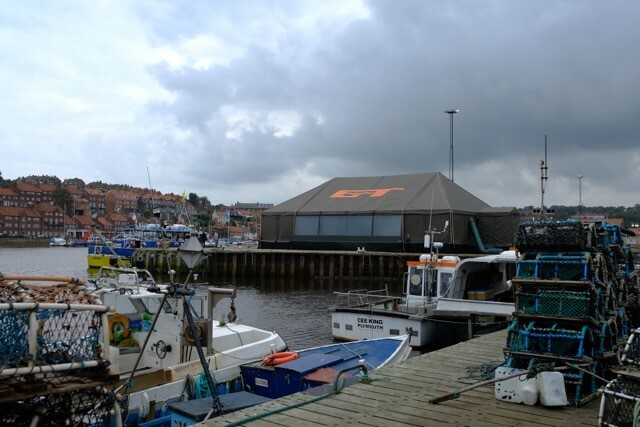 The whole structure was bar tensioned, with decorative ropes added into the structure for an aesthetic look similar to the iconic canvas pole tents that the structure is based on.